Now that I am soaping on a more steady basis, I’m finding that the molds I have been using are starting to show their wear; either getting brittle and cracking, or getting flimsy and losing their shape. It seemed like a good time to look into some long-term, good-quality, sturdy molds. As I was researching soap molds, one name kept coming up highly recommended time and time again: SoapHutch. 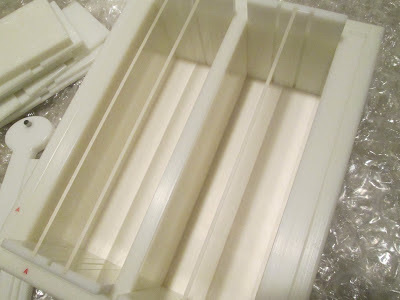 When I looked closer at Rich’s molds, I realized that his CraftLine Über Molds are actually a combination slab, divider and log mold, all in one...Über indeed! 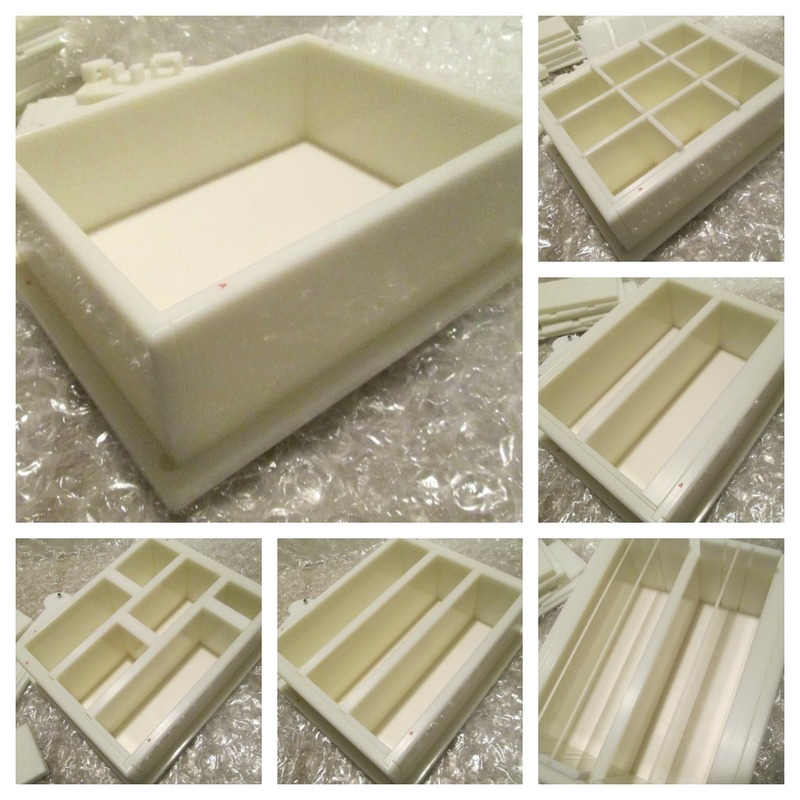 This way I didn’t need to choose between slab, divider or log….these molds could be configured in so many different ways; I loved that I would be investing in one mold, but getting so much versatility from that one mold. Plus, you don’t need to line them… a definite bonus! After pouring over all of his designs, I decided that I really just needed a mini Über Mold, as I make such small batches, but I was a little hesitant to ask for smaller custom dimensions. However, Rich assured me that he considers every soap mold that he makes a custom order, so he doesn’t mind at all configuring to customer requests. I am super impressed with Rich’s workmanship and professionalism. He was so easy to work with, and you can tell he is very passionate about his work; the pride he takes in his craftsmanship is very evident in the construction of these sturdy and versatile soap molds. 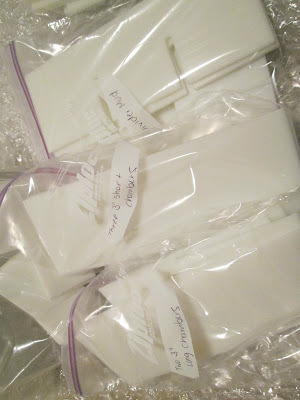 Thank you Rich, I love my new mold(s)! Have to say again: LOVE YOUR MOLD! And this soap sounds interesting: sand!??? Beautiful colours and the great name! Cee, that is definitely one fantastic mold! I was looking at the HDPE molds on ebay and some look really nice, but I think I'll have to get a quote from Rich since I've heard so many good things about him. I would love to have a mold that is narrower and taller than regular log molds. I can't wait to see all of your fantastic new creations. Your Beach Bar is beautiful! Wow, Cee, I am in love with your soap, so beautiful!Love the colours, the look, and those gorgeous ingredients! And your mold is ..wow,can't wait to see all your new creations! That is a pretty awesome mold. You don't need to line it do you? Wow, that mold is super cool! It's so neat that one mold can act as several. I checked out Rich's website and I will definitely have to keep his work in mind the next time I'm in the market for a new mold. The Beach Bar looks fantastic, too - can't wait to see your blog post showing how you made it! That is one of the coolest 'beach' soaps I have seen! Very cool! The straight divided line is really nice! Rich does make some super awesome molds! I've been drooling over his molds for a long time, just can't get myself to spend the $$$. I'm so cheap... (Put my head down). Now so jealous! Great investment! Can't wait to see all the creative soap you are about to make! Wow excellent mold! How has it been getting the soap out without lining it? I can only get out my super hard salt bar soaps in the HDPE and the rest of my soap I have had to use silicone lined molds. Awesome mold..love the versatility! I've heard nothing but great things about Rich's molds. 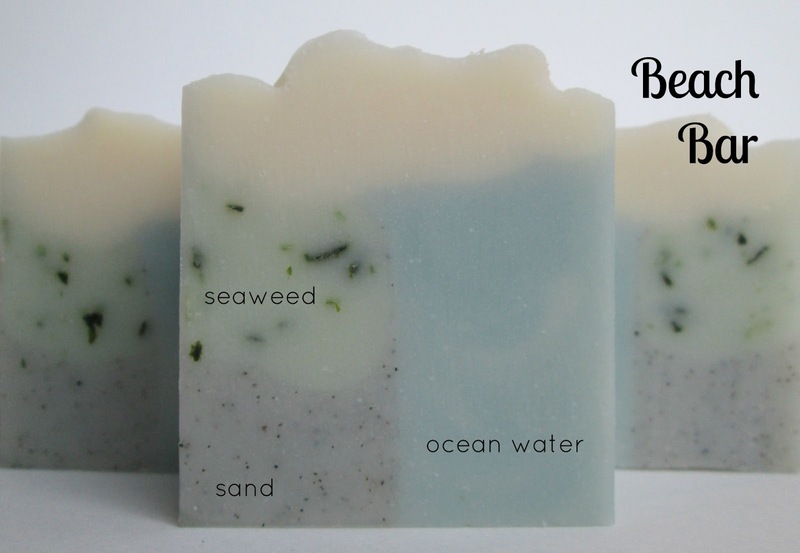 The Beach Bar soap turned out fantastic, Cee! Thanks for sharing where you got your mold, what a great piece of machinery. I'm going to have to take a peek at his site and see if I can bring myself to buy one. The mold is perfect and so inspiring. I can imagine the excitement and passion towards new soap projects! Happy soaping and looking forward to new soap designs! The mold fits what i need. Do you have his contact info? His website is not working. Hi there! It's probably easiest to email him directly at rbartko@soaphutch.com . Hope that helps! I am so getting one, thanks for sharing Celine! Thank you for this post Cee. I have been searching and wanting to try out slab molds and these looks like an all in one mold. How are you liking it?